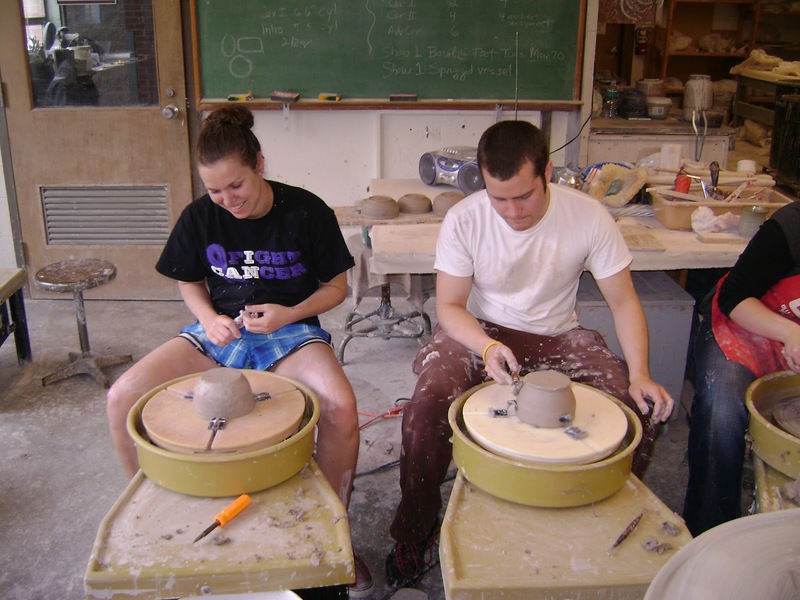 In the spring semester of the 2011/2012 academic year, two Saint Mary's Students, Mary Karnick and Jim Tandberg, joined Assistant Professor Lisa Truax in working with Winona State ceramic students and faculty along with local artists in creating dozens of bowls for the annual WSU event "Empty Bowls for the Hungry". The event benefits the Winona Volunteer Services Food Shelf. 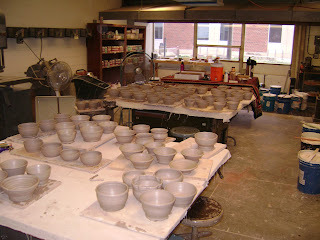 The bowls were sold at a lunch time event, and will be held again in the spring of 2013. 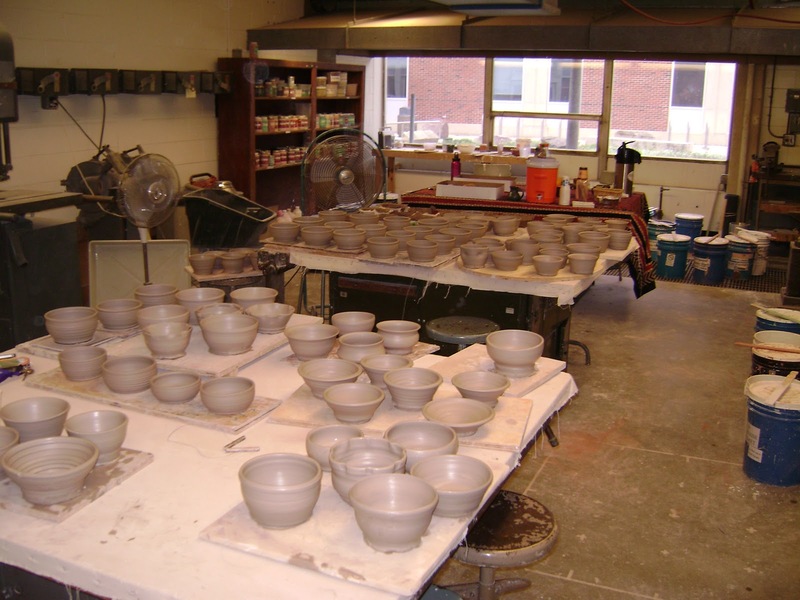 Many bowls were created to be sold for charity by SMUMN and WSU students and faculty as well as local artists. Saint Mary's Students Mary Karnick and Jim Tandberg trim bowls at the event.